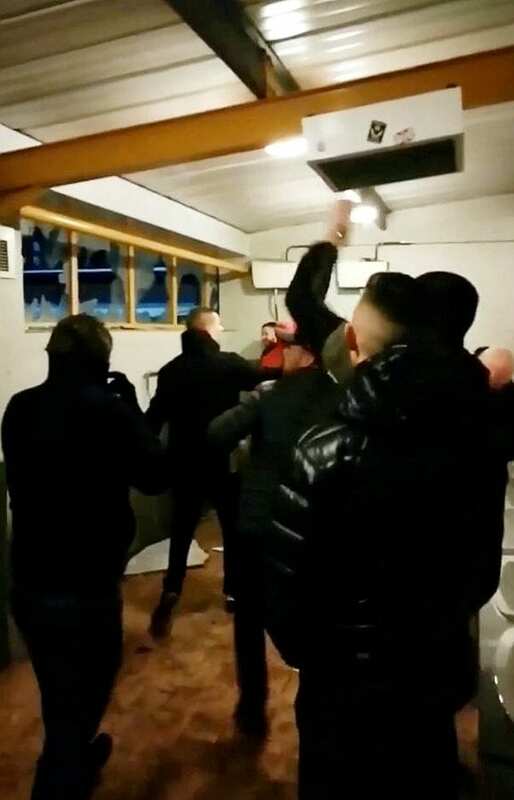 Police are hunting football hooligans who were filmed smashing up toilets during half-time of a bitter local derby. 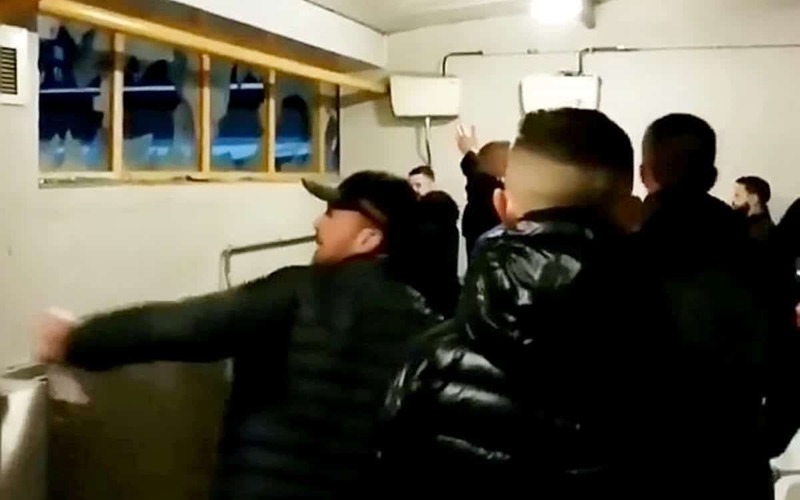 Footage show yobs tearing panels off sink units and smashing windows in the toilet block at the away end of Port Vale’s stadium. The shocking incident was filmed during the Checkatrade Trophy game between Stoke City under-21s and Port Vale on Tuesday (4/12) night. Port Vale won the game 4-0 but the match was marred by Stoke City fans smashing up the stadium in revenge. During the game, flares were thrown on to the pitch as well as lighters, coins and bottles. After the game, trouble continued on Hamil Road, Burslem, in Stoke-on-Trent, where a fan was seen stomping on a car roof shouting “go on Stoke”. There was also trouble in Burslem town centre when rival fans clashed near a number of pubs. 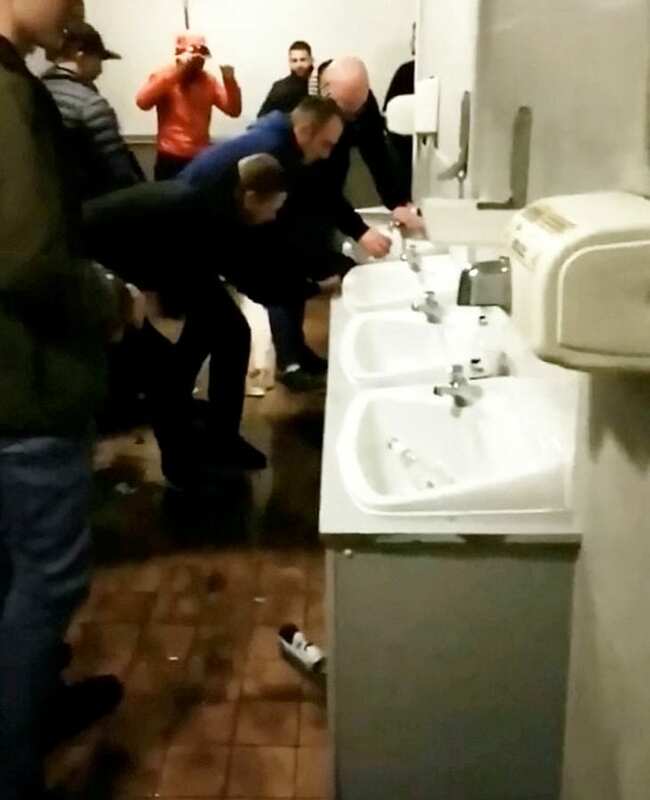 Staffordshire Police have made 11 arrests and released the footage of the vandals in the hope of catching more troublemakers. Detective Chief Inspector Rob Taylor said: “We have a duty to the local community and the loyal supporters of both clubs to act swiftly.